Downtown Decatur’s monthly block party takes to the streets for the last time in 2013 on Friday, October 18th. 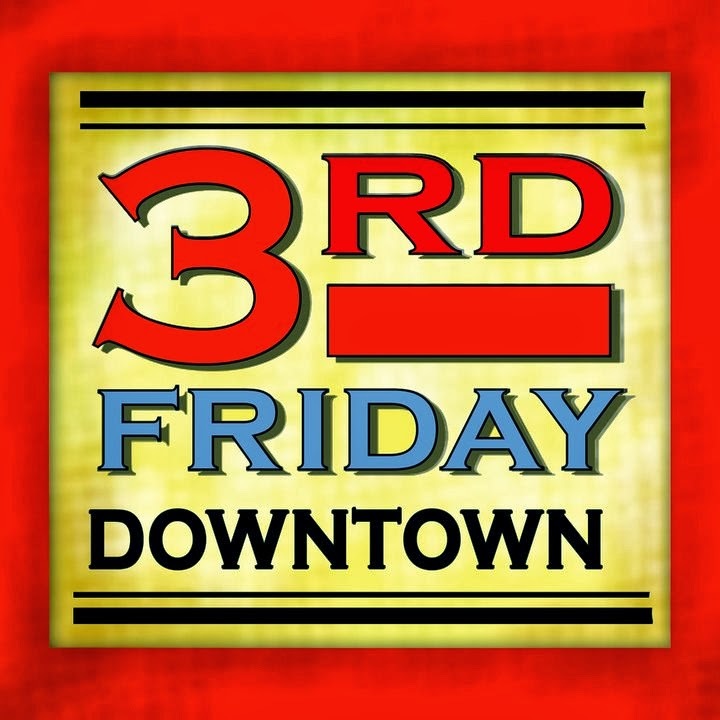 With a theme of Oktoberfest, downtown Decatur will be decked out with fall decorations and along with its usual family-friendly entertainment and special sales, there will be a 3rd Friday Finale Concert featuring the Gary Nichols Band. The block party officially kicks off at 5 p.m. when blocks of both Bank Street and Second Avenue will be closed off to traffic. Festivalgoers are encouraged to bring lawn chairs and take part in a variety of family-friendly activities including a haunted tour of the Princess Theatre, free tours at the Old State Bank, a free concert and more. To conclude this year’s 3rd Friday, a free concert presented by BP featuring the Gary Nichols Band will be held from 8 to 10 p.m. at Founders Park. Nichols has been playing guitar and singing since the age of 6. In 2003 he signed with Mercury Records and shortly thereafter returned to Muscle Shoals and signed a songwriting deal with Fame Music. In 2010, he joined The Steeldrivers as guitarist and vocalist. All along Bank Street, classic cars and vintage beauties will be on display. The Old State Bank will offer free tours of the bank and Heirloom Garden. Participants receive free herbs (in limited quantities). On Second Avenue, children can play in the Kids Zone where activities include face painting, sidewalk chalk, inflatables and demonstrations by Webster’s Karate, and the Princess Theatre will offer a haunted tour for those who dare to enter. Anyone interested in learning more about Carnegie Carnival should come to Founder’s Park for the Carnival Krewe Kick-off. In Casa Grande Park, festivalgoers can find the Vendor Marketplace featuring handmade items. Store specials, giveaways, and discounts will be offered at selected retailers and restaurants including a storewide 30% off sale at Wimberley’s on Second, complimentary refreshments at Bank Street Art and Antiques, pick a duck for a discount at Tallulah’s, a Flowers for Lexi Fundraiser at The Antique Basket, a garage sale room at Memi’s and The Paper Chase, and a painting demonstration by Huntsville artist Julie Robinson at The Cupboard. The Downtown Merchants Association wishes to thank the City of Decatur Parks and Recreation Department for the tremendous support they provide to the event as an in-kind sponsor. Platinum Sponsors are Decatur Downtown Redevelopment Authority and United Launch Alliance. Gold Sponsors include Decatur/Morgan County Convention and Visitors Bureau, Decatur Morgan Hospital, Lamar, Morgan County Commission, and Supreme Beverage Company/Yuengling/Yuengling Light. Silver Sponsors are Bank Independent and Old Black Bear Brewing Company. Bronze Sponsors are Renasant Bank, Stovall-Marks Insurance, and Temple Inc. Participating streets in 3rd Fridays include Second Avenue, Bank, Market, Moulton, Grant, and Johnston Streets. Admission is free. For more information, call Ashley Ashwander at 256.355.8993 or visit 3rd Friday’s Facebook page for the latest information. Up to 300 youth players from across the southern United States between the ages of 12 and 18 will be in Decatur October 12-14, 2013, to compete in the United States Tennis Association’s (USTA) junior state championship. 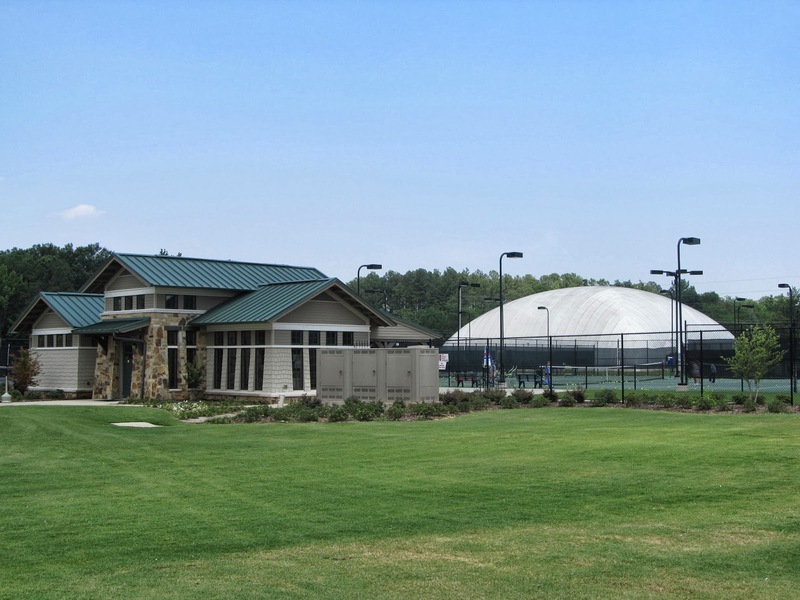 Sanctioned by USTA, the level 2 tournament will be held at the Jimmy Johns Tennis Center located in the heart of Point Mallard Park in Decatur. Age divisions are 12 & under, 14 & under, 16 & under, and 18 & under and each division will feature singles and doubles play. This will be the first appearance for the USTA Alabama Junior State Championship in Decatur. The USTA is the national governing body for the sport of tennis and the recognized leader in promoting and developing the sport’s growth on every level in the United States, from local communities to the crown jewel of the professional game, the US Open. The USTA is the largest tennis organization in the world, with 17 geographical sections, more than 770,000 individual members and 8,000 organizational members, thousands of volunteers and a professional staff dedicated to growing the game. For more information on USTA, visit www.alabamata.usta.com or www.usta.com. Located adjacent to the Point Mallard Waterpark, the Jimmy Johns Tennis Center contains four clay and 16 hard courts including two indoor courts. The venue also includes meeting space and a pro shop. For more information on the Jimmy Johns Tennis Center, visit www.decatursports.com or www.decaturparks.com. The Princess Theatre Center for the Performing Arts continues its 30th Birthday Season for 2013-2014 with THE GIBSON BROTHERS on Thursday, November 7, 2013 at 7:30 p.m., presenting bluegrass music’s hottest new group. The program is made possible by grants from the Alabama State Council on the Arts and the National Endowment for the Arts. The Gibson Brothers took home the Entertainers of the Year for a second straight year at the International Bluegrass Music Awards in September, 2013 as well as three other group and individual trophies. Eric Gibson was named Songwriter of the Year and the New York-based quintet also won Vocal Group of the Year and Song of the Year for "They Called it Music," written by Gibson and Joe Newberry. The song is #1 on the October 2013 Bluegrass Unlimited Song and Album Charts. The Gibson Brothers also were the top winners at last year's Bluegrass Awards. 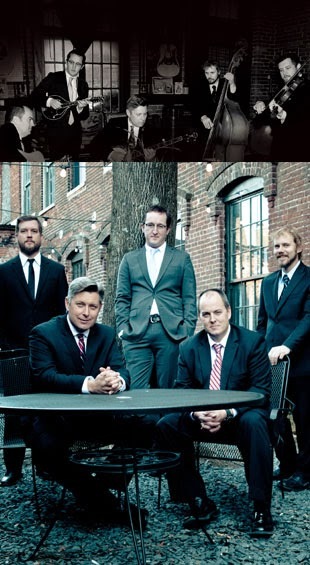 This follows their first win in 2012 as Entertainers of the Year Award and the 2012 Gospel Recorded Performance of the Year award for “Singing As We Rise.” The Gibson Brothers are widely recognized as the finest brother duet in bluegrass music today, evidenced by their being named IBMA’s 2011 Vocal Group of the Year. It was the first time a brother duet won that award. In a 2012 Washington Post interview, Del McCoury said “…when I hear someone like The Gibson Brothers, I know it’s them from the first note. They have that little thing in their voices that no one else…” And from Bluegrass Unlimited: "The brothers and the band have it all -- lead vocals, brother-duet harmony, instrumental virtuosity, ensemble sensibilities and great original material." That's the buzz. Here are the facts: 2013 IBMA Entertainers of the Year, Vocal Group of the Year, Song of the Year ("They Called It Music") and Songwriter of the Year (Eric Gibson). 2012 IBMA Entertainers of the Year and Gospel Recorded Performance for "Singing As We Rise;" 2011 IBMA Vocal Group of the Year and Album of the Year for Help My Brother, also named 2011 Album of the year by PopMatters; and, 2010 IBMA Awards for Song of the Year and Gospel Recorded Performance of the Year for "Ring the Bell." Reserved tickets are $33-$25 with special discounts for seniors, students/teachers are available online at http://www.princesstheatre.org/ and http://www.gibsonbrothers.com. For more information, call 256-340-1778. Many of the nation’s top American Saddlebred, Roadster, and Hackney horses will travel to Decatur, Ala. next month for a four-day competition that raises money for local charities. 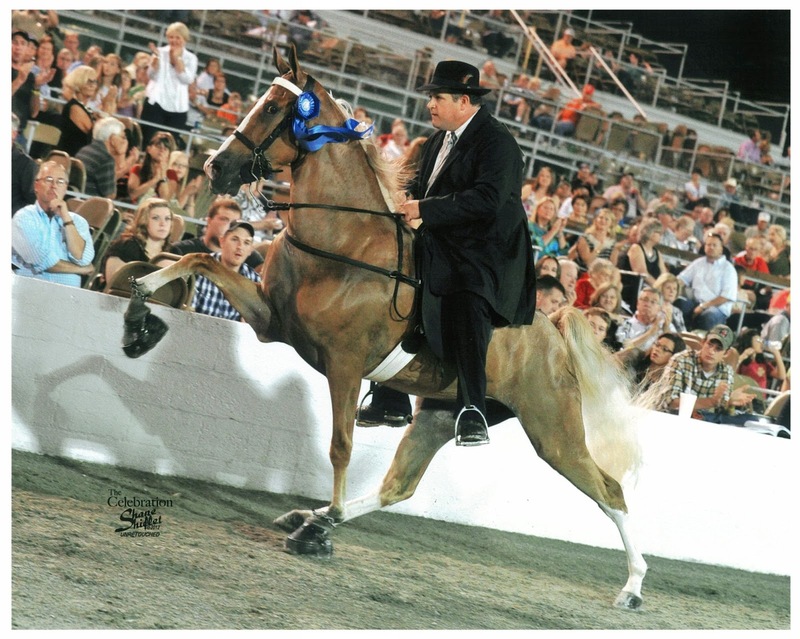 Set for October 9-12, 2013, The Alabama Charity Championship Horse Show is one of the largest Saddlebred shows in the southeastern United States attracting up to 700 horses from all over the eastern half of the United States. Now in its 23rd year, the Alabama Charity Championship Horse Show returns to the Morgan County Celebration Arena where amateurs and professionals compete for top honors and prize money while raising money for local charities. The event is the fourth largest saddlebred show in the United States and has won UPDA Horse Show of the Year awards for Chapter 8. Show hours are nightly at 6 p.m. Additional shows are at 10 a.m. on Thursday and Friday and at 9 a.m. on Saturday. In addition to the competition, vendors will have displays set up selling horse-related items ranging from oil paintings to clothing items. Admission is free. The Alabama Charity Championship Horse Show offers open classes in which entries may be shown by juveniles, amateurs, and professionals, all competing for prize money, ribbons and trophies. Proceeds from the competition benefit the Junior League of Morgan County and the Children’s Hands On Museum at the Carnegie Visual Art Center. Sponsorships are available for the 2013 show. The Morgan County Celebration Arena is located at 67 Horse Center Road (off Highway 67 East) in Decatur. For more information, contact Show Manager Janet Byron at 256.654.0429. For more information on the Saddlebred breed, visit the American Saddlebred Horse Association at www.asha.net. Learning about the cycle of food is the theme for the first "Dinner on the Farm" planned for October 18 at 1818 Farms in Mooresville. Proceeds from the event will benefit the Committee on Church Cooperation, Decatur's soup kitchen and pantry. 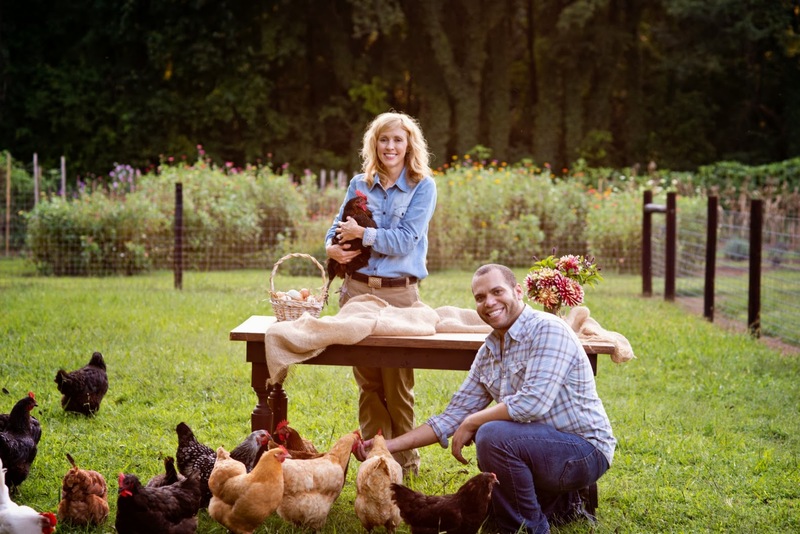 Natasha McCrary, owner of 1818 Farms, described the farm to table movement as more than just using local food. “It’s local produce straight from a local farmer that you put right on your table,” she said. Jake Reed, executive chef and owner of the Albany Bistro in Decatur, who will be preparing the dinner, elaborated on the movement that may seem trendy to today’s “foodies,” but was a way of life to previous generations, especially in the south. “It’s knowing your farmer, where the food comes from and the story behind your food. A lot of people feel like if they go to the farmer’s market they know where their food comes from, but people don’t take time to talk about how the food is grown,” he said, adding that many people still have a supermarket mentality when they go to the farmer’s market. Knowing the grower is more important than ever with the explosion in popularity of farmer’s markets. Rick Brown, managing partner of the Albany Bistro, agreed, adding that people should be asking why farmers do what they do. “The farmer who only grows green beans because he loves green beans is probably going to be growing the best green beans,” he said. Those who attend "Dinner on the Farm” will be eating at the farm where the food was grown and will be able to talk to the farmers as well as to the people who prepared the dinner. It will be a true seed-to-harvest-to-table experience, according to McCrary. “This will be a real opportunity to get to know a farmer, best practices and what day-to-day life is like,” she said. Participating farms who have generously agreed to donate their food include Smith Farms, Champion Farms, Tune Farms, and 1818 Farms. The event will begin with a farm tour at 5:00 p.m. Dinner will be served at 6:30 p.m. Although the menu cannot be announced with certainty, because only the freshest available produce will be served, diners will receive a five-course meal. Alcoholic beverages will not be served but guests are welcome to bring their favorite libations. Entertainment will be provided by Phil Weaver and Emily Jones. Cost for the event is $75. The farm is located at 24889 Lauderdale Street in Mooresville. Free parking will be provided and the location is accessible to those with mobility issues. Dress for the event is farm casual. To order tickets online, visit our website at www.1818farms.com or go to link listed below. 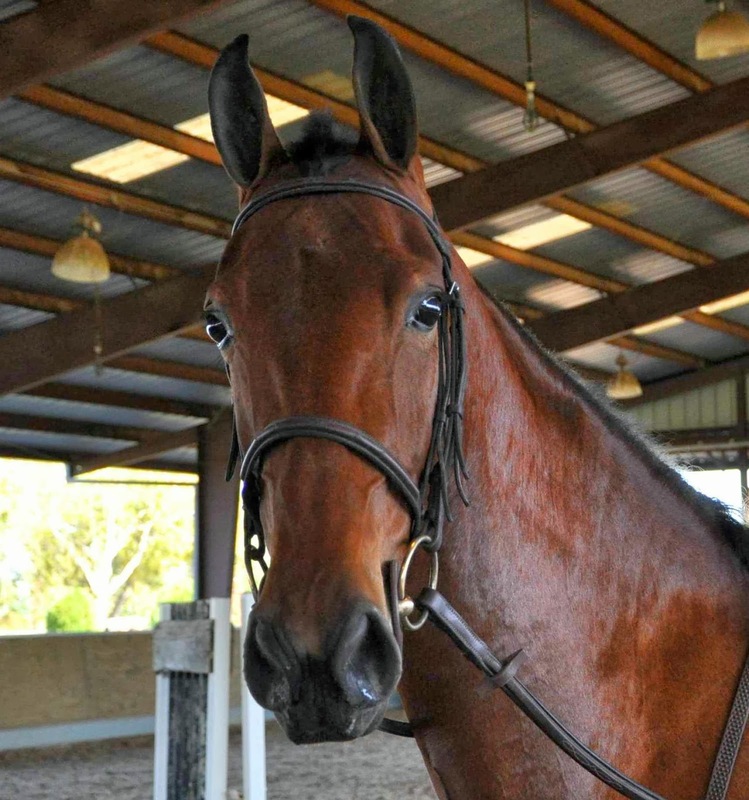 46th Annual Alabama Jubilee Charity Horse Show is set for October 18-19. The Walking Horse Association of Alabama is pleased to announce that the 46th Annual Alabama Jubilee Charity Horse Show will be held at the Morgan County Celebration Arena on October 18-19, 2013. The show starts at 5 pm each evening, and admission is $5. As one of the premier Walking Horse shows in the southeastern United States, many of the top Tennessee Walking Horses and Racking Horses will travel to Decatur, Ala. for the two-day competition. Proceeds from this show are donated to Camp Smile-A-Mile, a children’s cancer camp located at Lake Martin in Alexander City. Camp Smile-A-Mile (SAM) is a non-profit organization for children who have or have had cancer. Year round programs are provided for the campers and their family at no cost. The Alabama Jubilee Charity Horse Show offers 53 classes, which includes five championship classes. Entries are be shown by juveniles, amateurs, and professionals, all competing for prize money, ribbons and trophies. Each night, there will be exhibitions of current World Champions and World Grand Champions. A miniature horse, donated by Choose Your Gait Farm in Decatur, will be given away on Saturday night. In addition, the Alabama Walking Horse Ladies Auxiliary will be having their annual bake sale at the show. The Morgan County Celebration Arena is located at 67 Horse Center Road (off Highway 67 East) in Decatur. For more information, contact Show Manager Brenda May at 256-353-2508. For more information on the Walking Horse Association of Alabama, visit their Facebook page at www.facebook.com/WHAofA. For information about Camp Smile-A-Mile, visit their website at www.campsam.org.